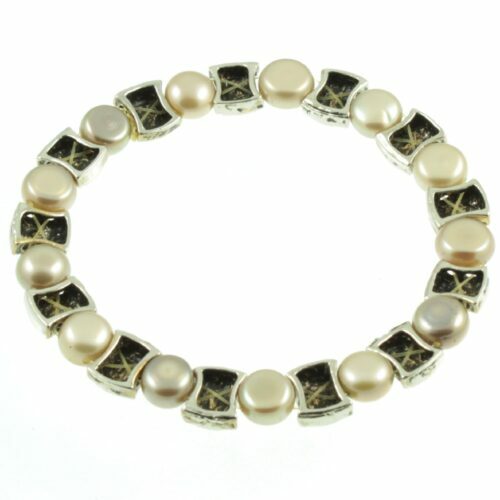 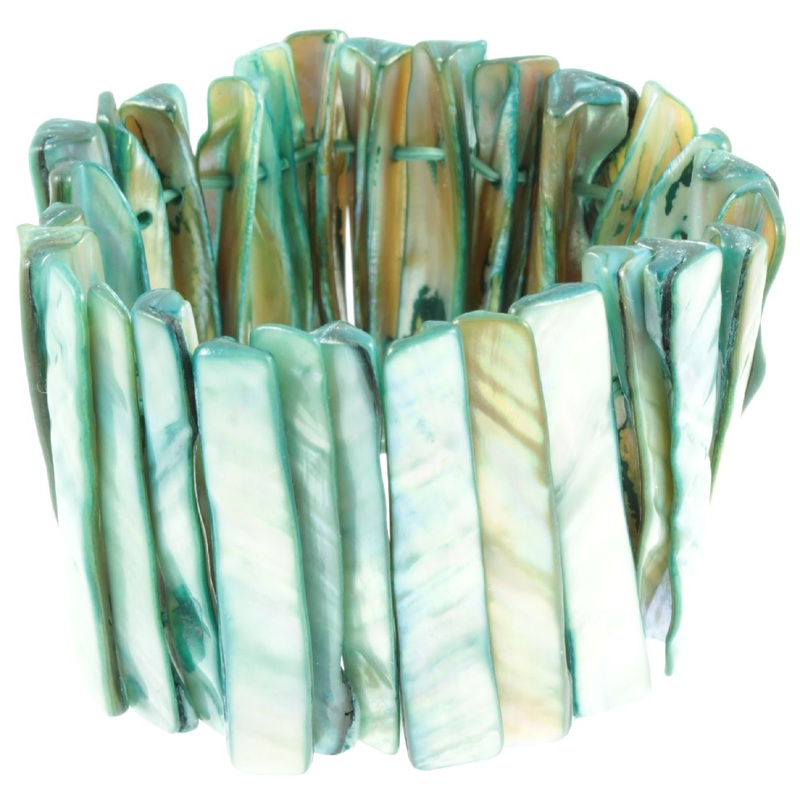 A pretty abalone shell bracelet. 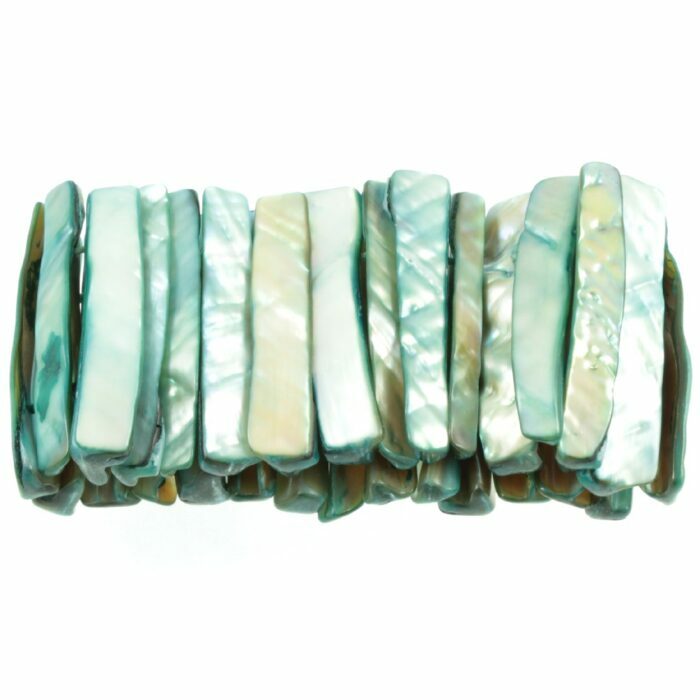 Strips of abalone shell have been set to two elastic strands. 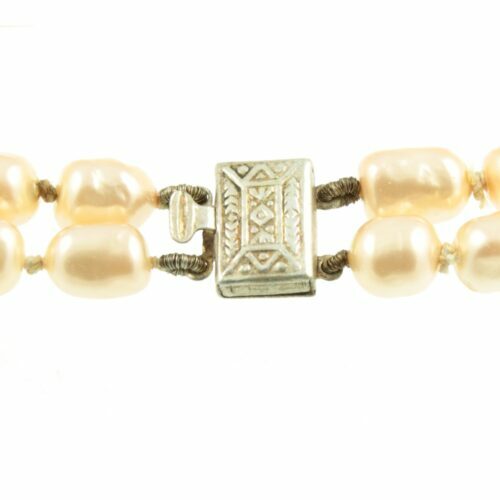 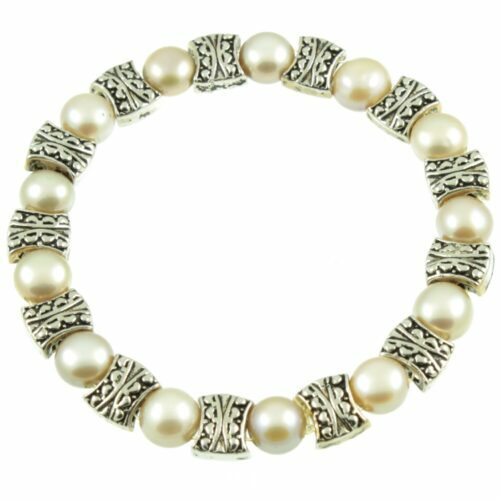 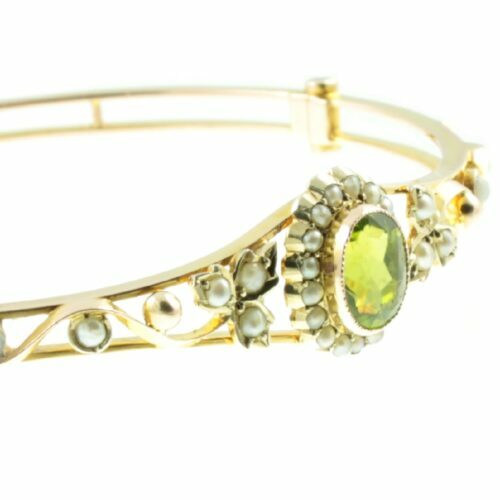 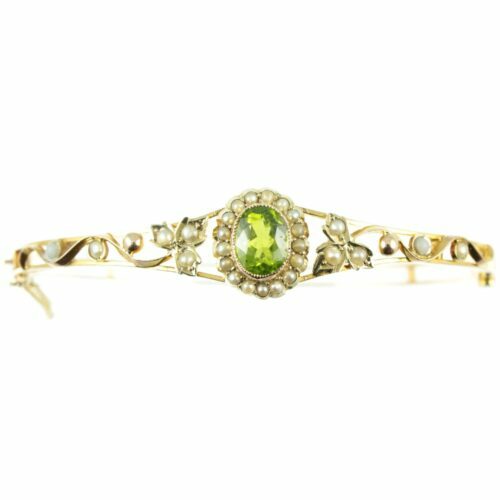 A gorgeous vintage bracelet which is surprisingly comfortable to wear. 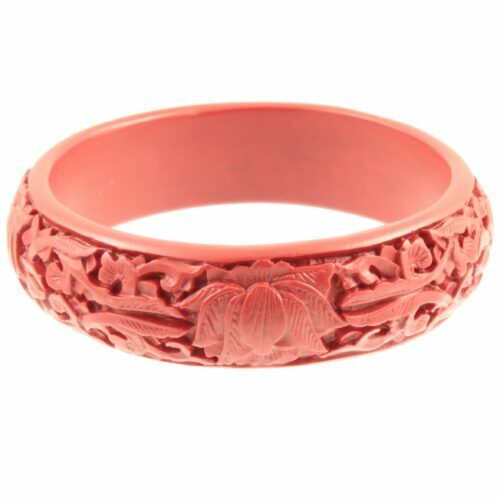 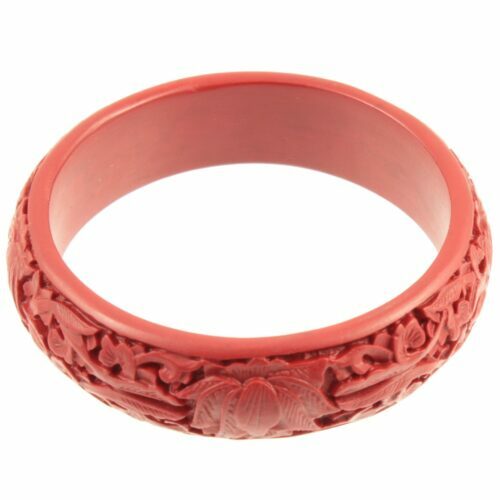 Size: stretchable x 44mm wide, weight: 79.6g.